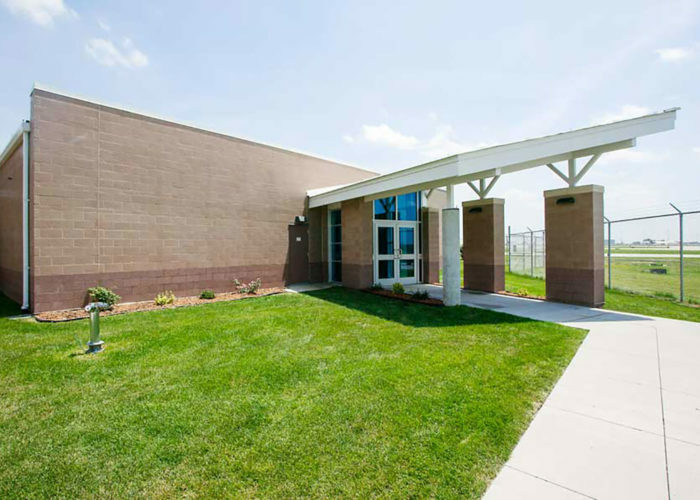 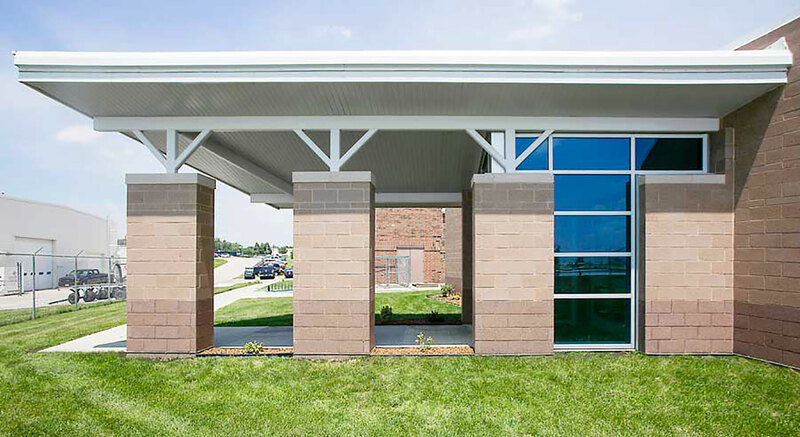 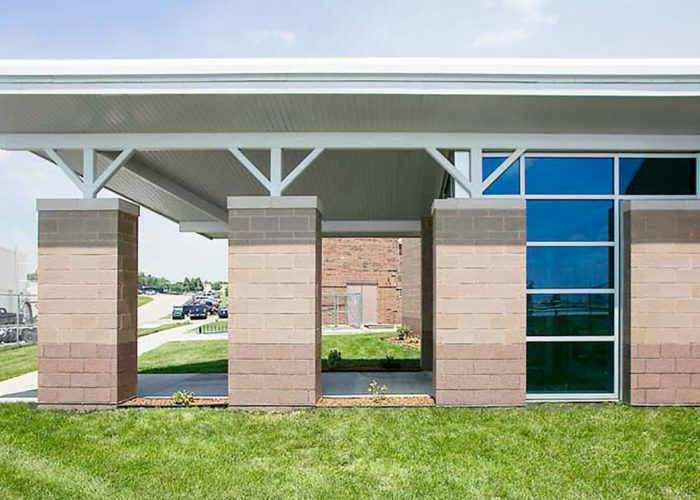 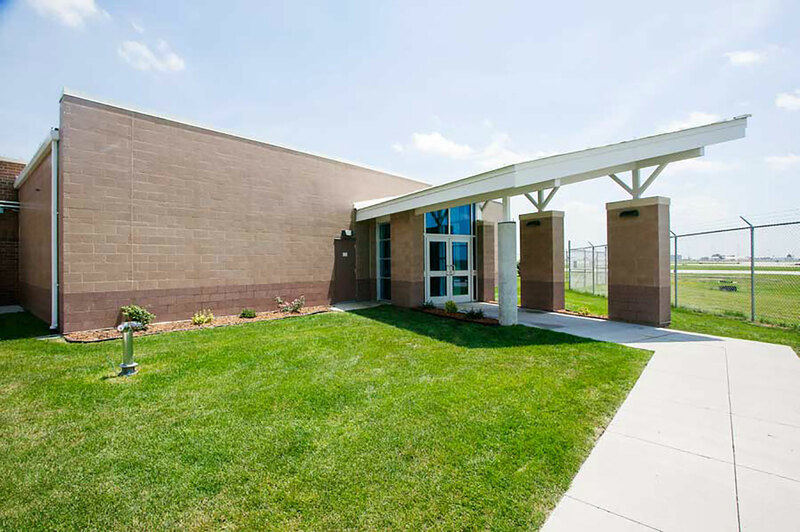 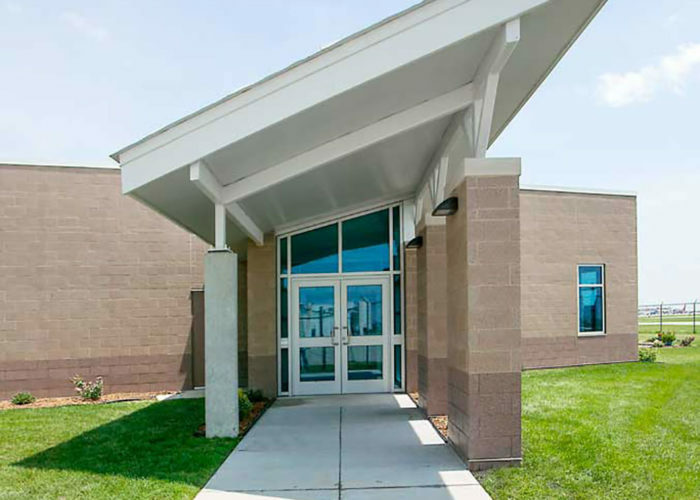 FEH DESIGN expanded the Distributed Training Operations Center (DTOC) for the third time at the Des Moines International Airport to accommodate incredible growth for this one-of-a-kind facility. 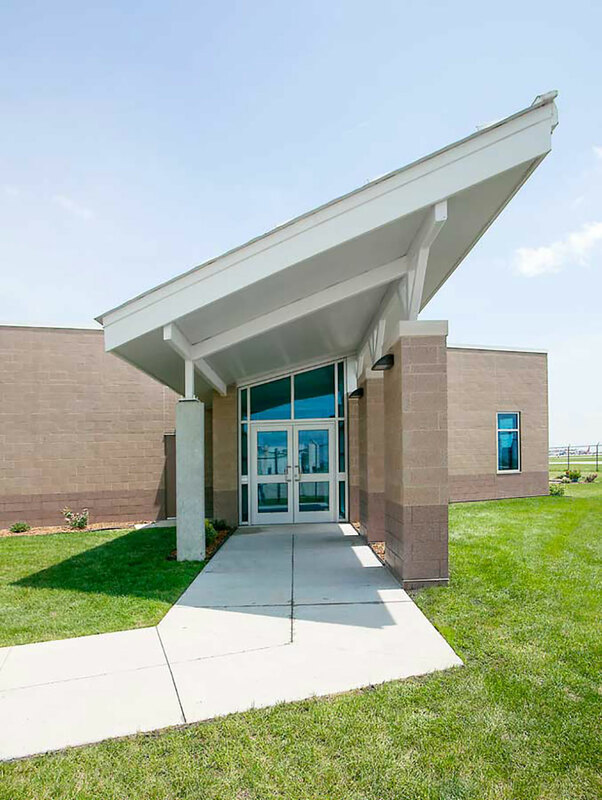 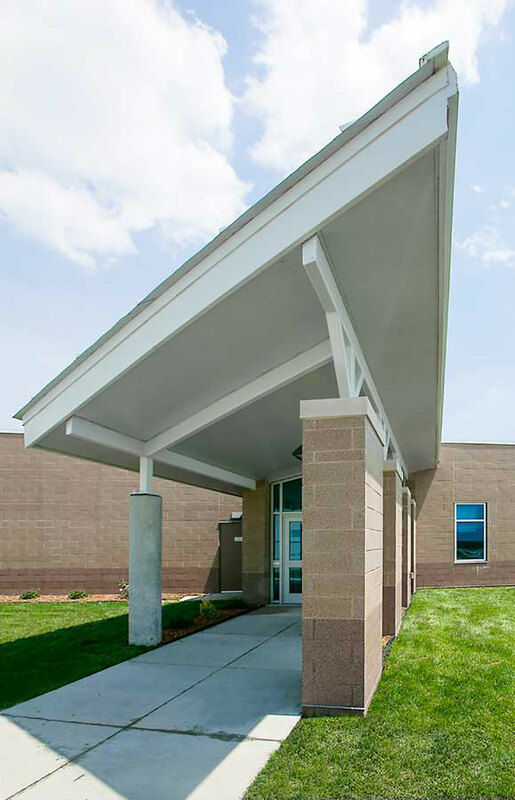 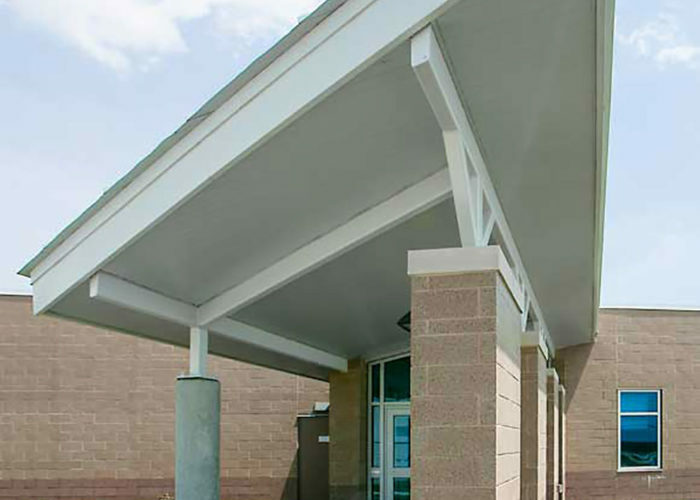 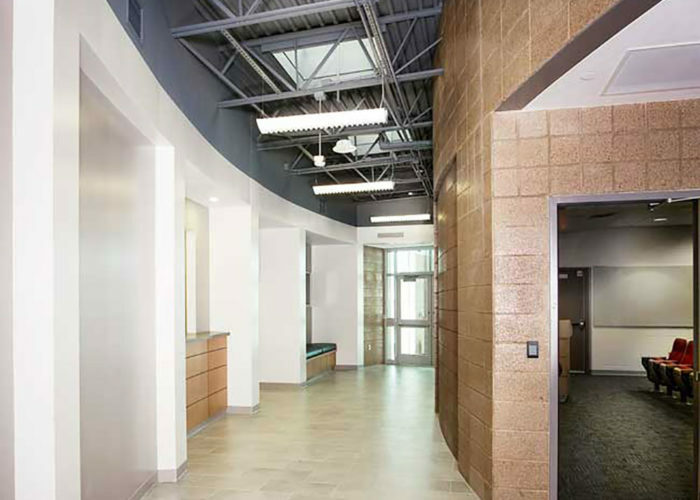 The mission is housed in a LEED Silver Certified facility and is responsible for conducting, facilitating and administrating classified computer intensive military simulation training programs between multiple military units and multiple locations. 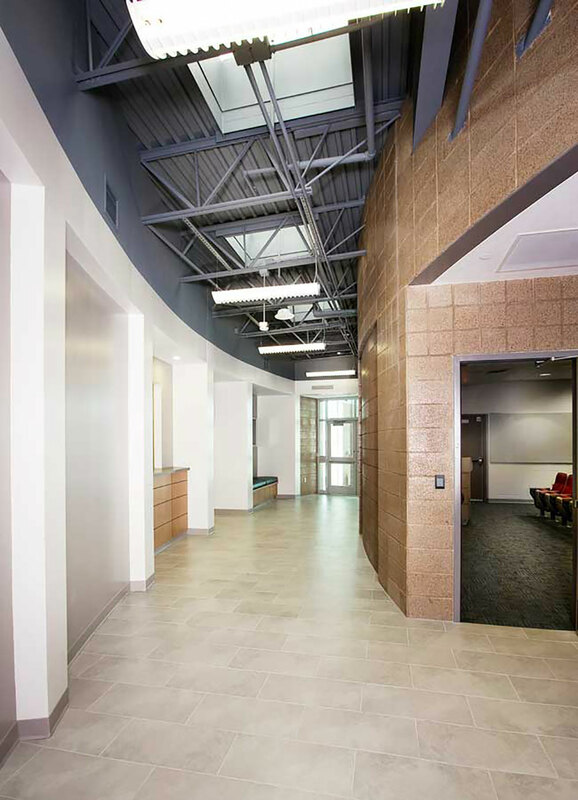 The design separates the facility into multiple zoned “secured & acoustically separated areas” to allow multiple classified operations to occur simultaneously and independent of each other. 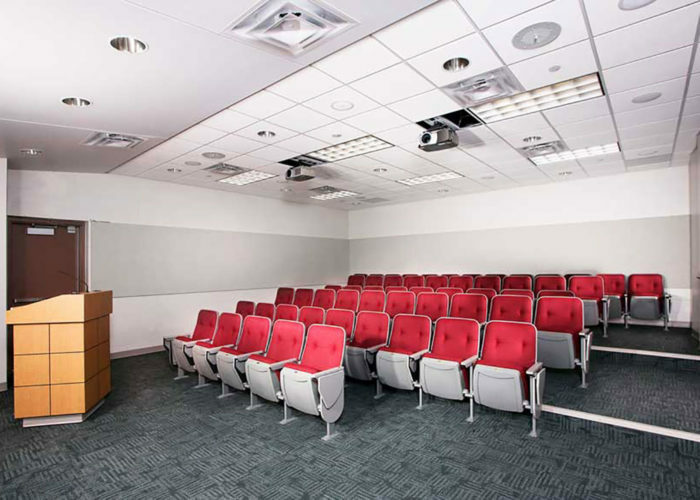 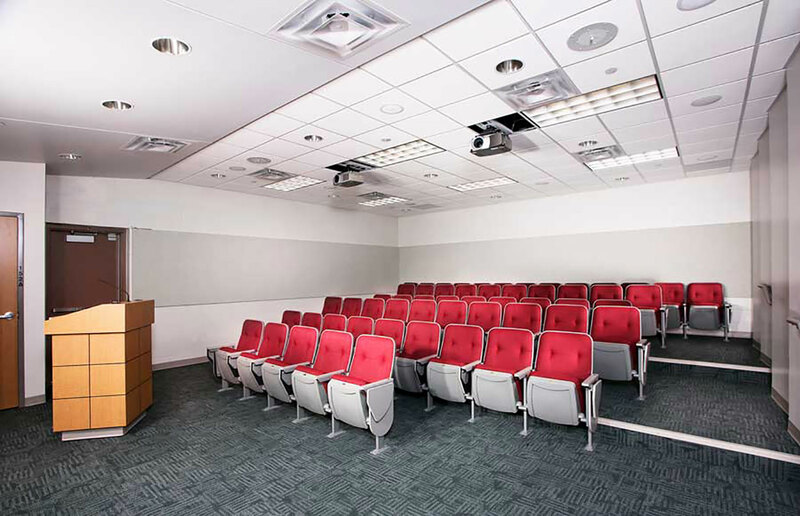 Unclassified public areas include a multi-tiered classroom accessible to the entire Base that also doubles as a secured presentation space.